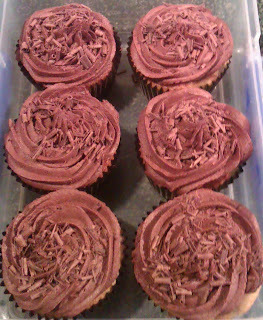 Back of Beyond Baking: More Gluten free Gorgeousness for the Girls get together. More Gluten free Gorgeousness for the Girls get together. We have been back to the big city this week for a meet up with my gang of girlfriends whom I worked with back in the days when I was a Nanny. The reason for this particular get together was that one of the Nannies was over from Australia for a visit. None of us had seen her for 5 years so it was a pretty big deal for us all and after much organisation and re organisation we managed to arrange a meet up. Interestingly none of us work as Nannies any more and all of us have families of our own. So 6 lovely ladies and 12 children gathered for a rather raucous play date and catch up session. The children were so well behaved and we all had a fab time. Although I have to say trying to get 12 children ranging in age from 8 months to 12 years to pose for a group photo was an interesting experience and not one I would want to repeat on a regular basis! As my Gluten free friend Gem attended the get together and I was staying with Gem our contribution to the lunch was gluten free cupcakes. Gem had made some fairy cakes for the children and I made banana and chocolate cupcakes these are based on the Hummingbird bakery recipe but has been tweaked for Gluten free purposes. Preheat the oven to 170C/ 325F/ Gas 3. Put the flour, Xantham gum, sugar, baking powder, cinnamon, ginger, salt and butter in a freestanding electric mixer with a paddle attachment and beat on slow speed until you get a sandy consistency and everything is combined. Slowly pour the milk into the flour mixture, beating well until all the ingredients are well mixed. Add the eggs and beat well (scrape any unmixed ingredients from the side of the bowl with a rubber spatula). Stir in the mashed bananas by hand until evenly dispersed. Spoon the mixture into the paper cases until two-thirds full and bake in the preheated oven for about 20 minutes, or until light golden and the sponge bounces back when touched. Leave the cupcakes to cool slightly in the tray before turning out onto a wire cooling rack to cool completely. For the frosting beat the icing sugar, butter and cocoa powder together in a freestanding electric mixer with a paddle attachment on medium-slow speed until the mixture comes together and is well mixed. Turn the mixer down to slow speed. Add the milk to the butter mixture a couple of tablespoons at a time. Once all the milk has been incorporated, turn the mixer up to high speed. Continue beating until the frosting is light and fluffy, about 5 minutes. The longer the frosting is beaten, the fluffier it becomes. 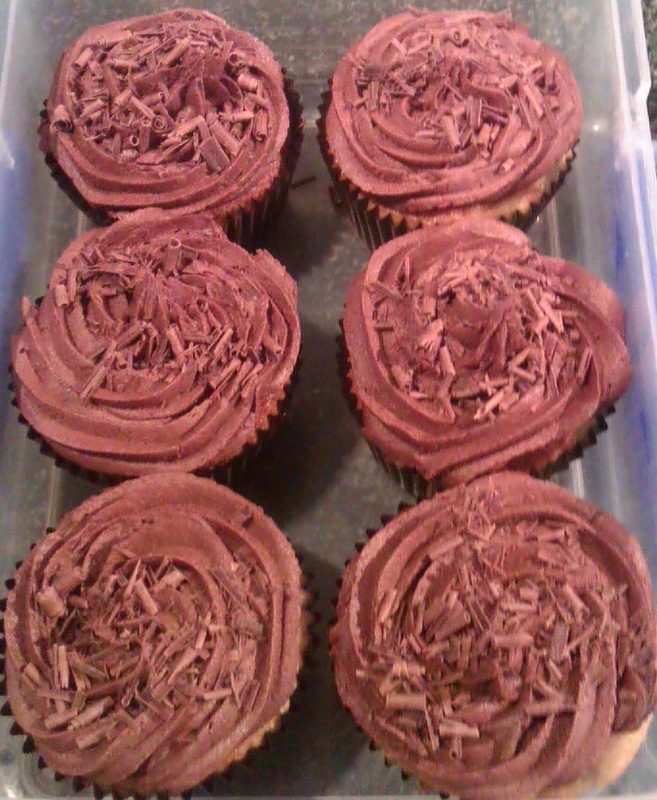 When the cupcakes are cold, spoon the Chocolate Frosting on top and finish with chocolate shavings.